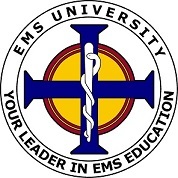 The EMS University 24 Hour EMT Refresher Course Meets NREMT Requirements for Recertification. We want for you to have a great experience taking our courses. Everyday, we strive to offer you the best possible educational material and customer service. We are a customer service driven and oriented training company and will make changes based upon your suggestions. We want you to have a fun time learning and enjoy yourself. All of our classes are fast paced, interactive, and taught by competent instructors. Does your course meet Texas Department of State Health Services, EMS/Trauma Systems requirements for recertification? Does your course meet National Registry of EMT (NREMT) requirements for recertification? I'm from out of state or hold certification in a state other than Texas. How do I become certified to practice as an EMT in Texas or to recertify my NREMT? How long after passing the course will I receive proof of taking the EMT Refresher course? How do I recertify my EMT Certification? What information will be listed on my certification? Do you offer the EMT Challenge Course? My State certification lapsed. Can I get it back? How long is the EMT Refresher course? Can you explain what is included in the course? It says my payment cannot be accepted, what is the problem? We are approved by the Texas Department of State Health Services, EMS/Trauma Systems to provide Continuing Education Hours and we are also accredited by the Commission on Accreditation for Prehospital Continuing Education (CAPCE) to provide NREMT refresher courses. CE hours are approved by the Texas Department of State Health Services, EMS/Trauma Systems and CAPCE concurrently. Students will be issued a course completion certificate which works for both regulatory bodies. You can verify our credentials by visiting the Texas Department of State Health Services, EMS/Trauma Systems website and clicking on the Allowed CE Provider List. Since we are accredited by CAPCE, EMSTS automatically approves our class for recertification through CE. You can verify our CAPCE Accreditation by visiting CAPCE and clicking on the "Providers" link. Note: This is an NREMT Refresher Course, not a Formal Texas EMT Refresher Course, The Texas EMT Refresher course is a special 72 hour course that is approved by the TDSHS. This course is an NREMT Refresher course, good for 24 hours of CE towards Texas EMT Recertification and NREMT Recertification. As a 24 Hour Emergency Medical Technician Refresher/Transition course as defined in the 2009 National EMS Education Standards, approved by the Commission on Accreditation for Prehospital Continuing Education (CAPCE), we meet NREMT requirements for recertification. Please be advised that the NREMT requires additional hours for recertification. You can get further information by going to the NREMT's Website. The state of Texas requires that EMTs certified in another state hold current NREMT certification in order to practice as an EMT in Texas. Our EMT Refresher course meets this requirement. For assistance on recertification requirements in general, please see the Texas Department of State Health Services, EMS/Trauma Systems website, by Clicking Here. Your course validation certificate will be available immediately upon course completion. Therefore, as soon as you have completed and successfully passed the final examination, you will be issued your validation certificate. You may recertify as an Texas EMT by taking our Commission on Accreditation for Prehospital Continuing Education (CAPCE) Approved EMT Refresher Course. If you are seeking to meet NREMT recertification requirements, you may use our course to satisfy the formal EMT Refresher portion. Our course is a 24 Hour Emergency Medical Technician Refresher/Transition course as defined in the 2009 National EMS Education Standards, approved by the CAPCE. If your certification is Lapsed and it has been less than a year, you can still renew your certification, however, you will be required to recertify through the National Registry or Continuing Education option. This course meets that requirement. In addition to this requirement, lapsed certifications require verification of skills proficiency, this CANNOT be done by EMS University. You must contact Texas EMSTS to find a State EMS Coordinator that can checkoff your skills. You will also be required to pay 1.5 times the normal application fee for recertification if expiration is less than 90 days or 2 times the normal application fee for recertification after 91 days, provided you have not been expired for over 1 year. If you have been expired over 1 year and your NREMT certification is current, you may recertify by downgrading your certification level. Contact Texas EMSTS for further information. If you have been expired over 1 year and your NREMT is not current, you must complete an entire EMT program to become certified again. The course is 24 hours, usually spread out over a period of 3 days. On the last day, you will be required to take a state examination to receive course verification that you can use to meet NREMT requirements. The score to pass and receive your validation certificate is 75%. You are permitted to take the exam a maximum of 3 times prior to being required to take the course all over again. If you must repeat the course, we can offer you a discounted rate. Ask your instructor for details. All classes include didactic, written and audiovisual materials to enhance learning. In addition, there is a written exam required by the state at the end of each course. Passing with a grade of 75% or better is required to obtain your validation certificate. You can see the course summary by clicking here. The cost to take one course is $220.00. Also, please keep in mind that we promise the lowest price in San Antonio for an EMT Refresher Course. In the event that you find a lower price, we will provide an additional 10% off the competitor's price. This way you receive the lowest possible price for your recertification. In order to register for the EMT Refresher course, you can call us at (800) 728-0209 or Register Online. In order to secure your seat, in the class, you must pay the registration fee. The process is simple... You can request this by using the live support chat button, emailing us at info@sanantonioemtrefresher.com or by calling us at (800) 728-0209. Be sure to include the email address, payment method, and the last 4 numbers of your credit card. We try to make it as easy as possible for you. We can email, fax or mail your receipt. The process usually takes 24 hours to complete. If you need it done quicker, calling or using the live support option are the best ways of receiving a rapid response. Most payment issues involve the incorrect identification of a Card Verification Code (CVC) or a Zipcode/Address mismatch. In order to find the correct CVC for your credit or debit card, click here. If you continue to experience issues, you may contact us using the live support chat button or call us at (800) 728-0209. We will be happy to review your payment and provide more information.